Old pictures tell some interesting stories and often remind us of details long forgotten. My Dad always enjoyed working in his garden, especially the vegetable garden. I have a vision of that garden in my mind, and can tell you how he rowed up his vegetables and what he planted where. And I remember that he always had a row of flowers along the edge of the garden. 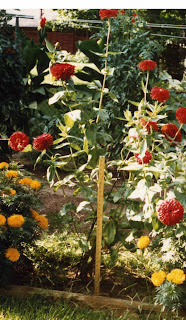 But until I found this picture, I did not remember that he once grew a zinnia that was over six feet tall. That might not be a world record, but that is one tall zinnia. I betcha my Dad's zinnias were taller than your Dad's zinnias! His secret was in the soil. All the leaves and grass clippings seemed to end up in the garden, enriching the soil year after year. I try to do the same with my gardens. Though I don't bag my lawn clippings, I do have compost bins and put all that rich compost back into my own raised bed vegetable garden every year. It makes a difference. With good soil in the garden, it is amazing what you can grow. You bet your Dad's zinnias are bigger than mine ! That zinnia looks like it was on steroids . I like that my dad's are bigger than your dad's brought back memories from childhood. That soil was/is so spectacular that even today, 20 years after his death, we are still able to yield fantastic results from our garden, which was once Dad's garden. (And I didn't inherit the same green thumb as Carol did). We don't fertilize, or use any chemicals of any kind. It's wonderful soil! 'Sister of the Homestead' has embellished our garden with raised beds (Carol's idea) and a black wrought iron fence. I suggested she do what her Dad did, and put black landscape plastic along the pathways to keep the weeds at bay. (she was out there in this heat and sun clearing the paths of weeds to neaten it up). Too hot for that, but she is a very enthusiatic gardener even with her so-called 'black thumb'. Our gardens are beautiful. Zinnias are a great flower of the past (and present), I have a picture of me at 4-H with a bouquet of prize winning zinnias. Your dad would be so pleased that you all are enjoying gardening and have all the memories. Keep up the good work. They say we should preserve the earth as no more soil will be made, but I believe you are making it in your gardens. I adore zinnias. How wonderful that he grew them so large. BTW, my GBBD post is finally up. And it had zinneas like that. The small wooden house with the white sideboards and black shutters was framed by the brightest garden I have ever seen. Little cinder paths were between all of the beds. The fences were like the trellises, a blaze with colour. What a cool memory! What a COOL flower!! I would give anything to have a photo of my grandpa standing next to his little garden patch. Hope you had a great GTS. Okay, you win that bet! I don't think I ever saw my father do any gardening, much less zinnias. Your picture puts me in mind of one I have (somewhere) of my father-in-law standing in front of his tall cornstalks which he was always so proud of. Nice stems. Your dad certainly did have a way with zinnias. They look like dahlias. My dad never gardened. He was too busy smoking and drinking. Everybody has their own talent. Carolyn Gail... I think the zinnia was on Miracle Gro or the no longer available Rapid-Gro. Mark... thanks for the comment, and glad you enjoyed that remark. I did, too. Sister with the Homestead... Yep, you got the soil, now let me have his old hoe! Eleanor... I agree, she is a very enthusiastic gardener, and the vegetable garden has never looked better in 20 years. Susie... So apparently growing prize winning zinnias runs in our family? Hmmmm... I'll be looking at mine a bit differently later this summer. 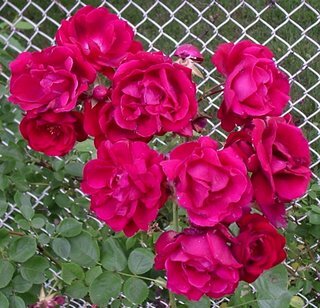 Old Roses... I think most gardeners like zinnias. They are easy to grow and come in all colors. Lynn... Your welcome and thanks for the comment. 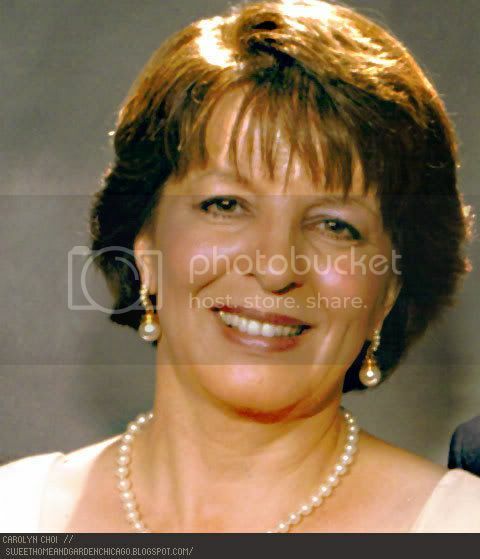 Gardenmomma (Chris)... I agree, pictures like this are priceless and this one would have been better if my Dad had been in it! Lost Roses... I had to win with a zinnia that tall, I couldn't believe it when I saw it. Chigiy... Yes, everyone has some kind of talent, whatever that may be. Carol, thank you for this post. I keep thinking that I'm spending too much energy on making compost for the results... but this shows me it may pay off in the end! Blackswamp_Girl... You're welcome. Time spent on enriching the soil always pays off! Keep doing it. I have never grown Zinnias before. I never gardened before last year. I bought some Zinnia bulbs @ Walmart ( outside pkg says they will be red and white.) I now have one that is 60 inches tall and still going. I used Miracle grow moisture control potting soil. and planted in a 5 gallon POT ! I also have three more Zinnias and three impatiens in the same pot! The other Zinnias are three fourths as tall and the impatiens are HUGE!